Ok, so I know that I am no music buff by any means and it's not a usual topic of conversation on my blog, but this is precisely why I didn't want to pigeon hole myself into any genre, I want to be able to talk about what interests me at the moment and today it is music and more specifically Tyler James' album, A Place I Go. 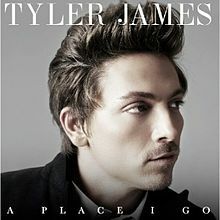 Tyler James if you don't know of him has been round a good while trying to make his name in the music business. 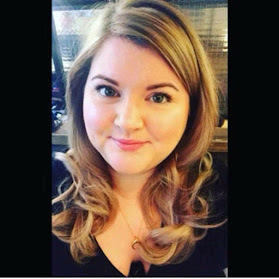 A close friend of the late Amy Winehouse, Tyler went on to appear on BBC's The Voice, was mentored by Will.I.Am and was a runner up to Leanne. I downloaded his version of Higher Love when The Voice was on and my love affair with Mr James began! He has that tortured soul look and sound... one of those that you feel just needs a big hug! When he released his first single a couple of weeks ago called A Single Tear I downloaded that too and his voice is literally mesmerising. It has one of those rare, sad and almost haunting tones and I think his music is amazing. So moving on to the album.. I downloaded that last night and having listened to it once today I am hooked! It is incredible! There are a few covers thrown in there but completely reconfigured so they sound very unique to Tyler. If you want a new easy listening album then I would highly recommend you give it a listen, it is definitely a new favourite of mine and I can imagine I will probably be obsessed with it for a good few weeks..
On the album you also get a couple of videos thrown in which I watched today whilst at the gym!